This white cotton batiste Victorian gown was hand made in England about the 1800s. 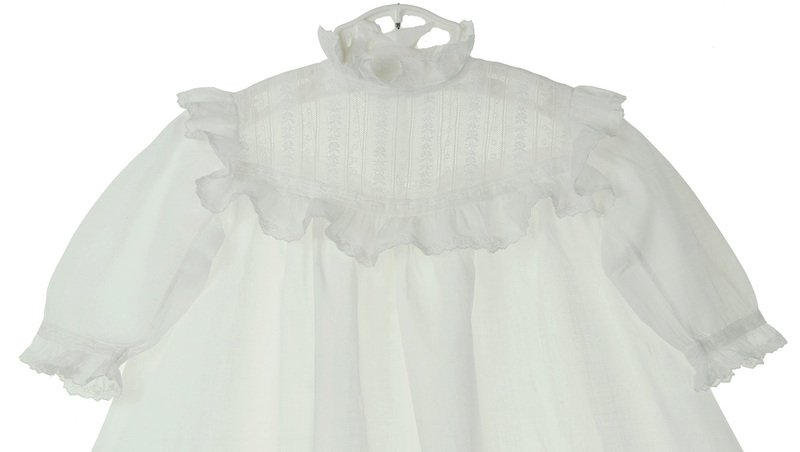 It features an embroidered lace yoke edged with ruffled Swiss lace trim. 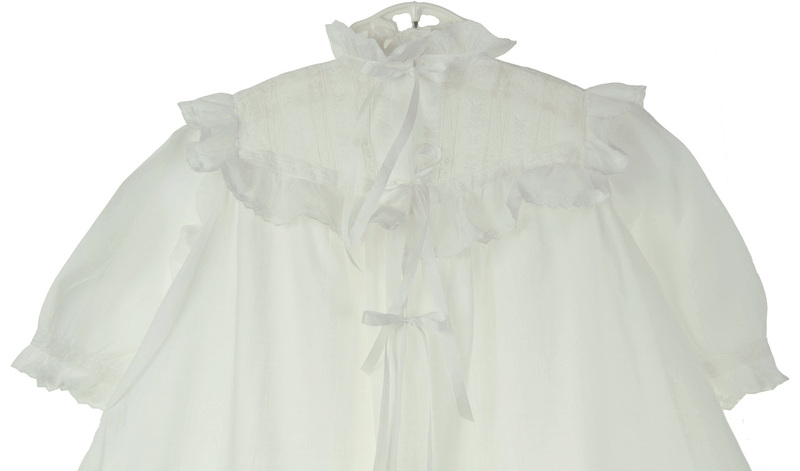 Ruffled Swiss lace finishes the long sleeves and neckline. 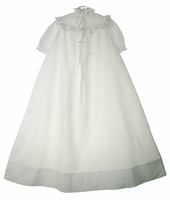 The gown closes in the back with silk ribbon ties through three double buttonholes, likely added at a later period. The long batiste skirt has a deep 4" hem. A beautiful Victorian christening gown, baptism gown, or dedication gown for your baby boy or girl! 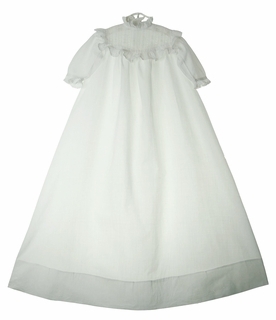 Less elaborate than many Victorian gowns, it would make a perfect heirloom family gown as well.